This text samples below shows the font rendered as a @font-face web font and allows testing of rendering quality in your target browsers before purchase. If you have any questions, shoot us a quick email and we'll be happy to help out. We also handle custom font licensing for practically any application. Create commercial graphics, documents, and products. a. Use the Font to create and distribute graphics, logos, and artwork for display on any surface including computer screens, television screens, paper, physical products, or any other surface. The created graphics may be a fixed size (e.g. JPG, PNG, etc.) or a static vector (e.g. SVG, EPS, etc. made with a “create outlines” tool). b. Embed or link the Font in accordance with the rules described in Section 2d, “Document Embedding,” of this EULA. Licensee may not use the Font to create alphabet or letterform products for resale where the product consists of individual letterforms, including rubber stamps, die-cut products, stencil products, or adhesive sticker alphabet products where the likeness of the Font can be reproduced and the end-user of said products can create their own typesetting. An extended license may be available for an additional fee. Licensee may NOT use illustrations or images in the Font OTHER THAN letterforms, numbers, punctuation marks, diacritics, etc., in a manner where the illustration or image becomes the primary aspect of a product for resale. For example, a dingbat image in the font can not be the sole design element on a coffee cup, t-shirt, greeting card, etc., intended for resale. An extended license may be available for an additional fee. The Font may be simultaneously used by no more than the number of users specified in the Invoice. A “user” is a single person or single machine, at the discretion of the Licensee. All users must belong to the same company or household purchasing the font except for temporary use by third parties as described in Section 3 “Provision to Third Parties” of this EULA. The Font may be installed on a server for the purpose of deploying to licensed users with all user restrictions listed above still applying. Documents embedding the Font and sent to third parties, must be read-only by those recipients. Documents embedding the Font and created for in-house use or sent to third parties working on behalf of the Licensee as described in Section 3 “Provision to Third Parties” may be editable. The Licensee may temporarily provide the Font to a graphic designer, printer, agent, or independent contractor who is working on behalf of the Licensee. The Agents temporarily using the font are treated as licensed users and count toward the number of users specified on the Invoice. In the case of a single user license, the Licensee may temporarily provide the Font to a single third party without violating this EULA. a. Agree in writing to use the Font exclusively for Licensee’s work, according to the terms of this EULA. b. Retain no copies of the Font upon completion of the work. This EULA grants a perpetual license for the rights set forth in Section 1, “Rights Granted,” unless and until the EULA terminates under Section 8, “Termination.” Fontspring will not charge additional fees post purchase, annually or otherwise. Licenses for @font-face embedding, computer applications and games, installable interactive books, software, mobile applications and games, ebooks, product creation websites, website template distribution, website templates, and other uses not allowed by this EULA may be available for an additional fee. Contact Fontspring at support@fontspring.com for more information. Licensee may not modify the Font files, or create derivative fonts based on the Font without prior written consent from Fontspring or the owning Foundry EXCEPT THAT Licensee may generate files necessary for embedding or linking in accordance with this EULA. The Font is protected by copyright law. The Foundry is the sole, exclusive owner of all intellectual property rights, including rights under copyright and trademark law. Licensee agrees not to use the Font in any manner that infringes the intellectual property rights of the Foundry or violates the terms of this EULA. Licensee will be held legally responsible, and indemnifies Fontspring, for any infringements on the Foundry’s rights caused by failure to abide by the terms of this EULA. This EULA is effective until terminated. If Licensee fails to comply with any term of this EULA, Fontspring may terminate the EULA with 30 days notice. This EULA will terminate automatically 30 days after the issuance of such notice. a. The Font has not been used in any published or released work. b. No more than 30 days have passed since the date of purchase, specified on the Invoice. c. The Font has been uninstalled and deleted from all Licensee’s computers. The Product is provided “as is.” Fontspring makes no warranty of any kind, either expressed or implied, including, but not limited to the implied warranties of merchantability and fitness for a particular purpose. Fontspring shall not be liable for any direct, indirect, consequential, or incidental damages (including damages from loss of business profits, business interruption, loss of business information, and the like) arising out of the use of or inability to use the product even if Fontspring or the Foundry has been advised of the possibility of such damages. Because some states do not allow the exclusion or limitation of liability for consequential or incidental damages, the above limitation may not apply to Licensee. This EULA is governed by the laws of the United States of America and the State of Delaware. This EULA, in conjunction with the Invoice that accompanies each Font licensed from Fontspring or its distributors, constitutes the entire agreement between Fontspring and Licensee. The Parties may modify or amend this EULA in writing. 13. Waiver. The waiver of one breach or default hereunder shall not constitute the waiver of any subsequent breach or default. Embed fonts in your web sites with CSS. Fontspring grants Licensee a perpetual, worldwide, non-exclusive and non-transferrable license to link the Webfont to Websites using the @font-face selector in CSS files. a. Licensee must use the Webfont provided by Fontspring under this EULA. 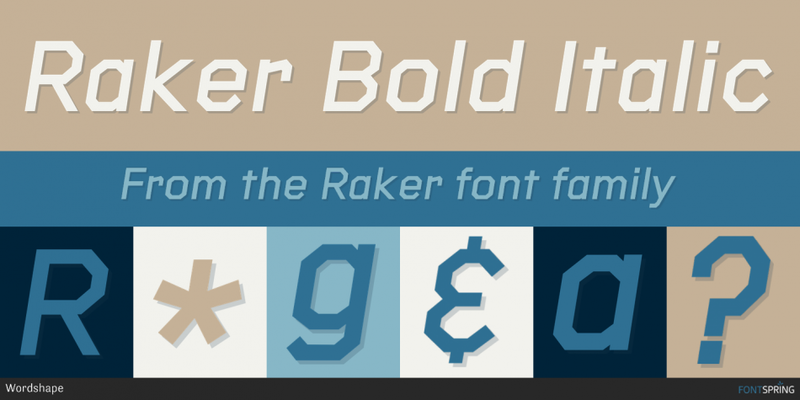 Licensee may not link to the full, CFF OpenType or TrueType font designed for desktop installation. b. Licensee must include the entire commented header in the provided CSS file. c. The total traffic of the Website(s), measured in pageviews per month, may be no greater than the number of pageviews specified in the Invoice. d. Licensee may only install the Webfont on Websites that it owns or controls. e. Licensee may embed Webfont in reports generated by the Website(s), provided that Licensee does not sell the reports for profit. Licensee may temporarily provide the Font to a producer, publisher or other agent who is working on behalf of the Licensee. (1) Agree in writing to use the Font exclusively for Licensee's work, according to the terms of this EULA. (2) Retain no copies of the Font upon completion of the work. This EULA grants a perpetual license for the rights set forth in Paragraph 1 unless and until the EULA terminates under Paragraph 8. Fontspring will not charge additional fees post purchase, annually or otherwise. Licenses for desktop use, computer applications and games, installable interactive books, software, mobile applications and games, Ebooks and Epubs, product creation websites, website template distribution, website templates, and other uses not allowed by this EULA may be available for an additional fee. Contact Fontspring at support@fontspring.com for more information. Licensee may not modify the Webfont or create derivative works based upon the Webfont without prior written consent from Fontspring or the owning foundry EXCEPT THAT Licensee may generate files necessary for embedding or linking in accordance with this EULA. The Webfont is protected by copyright law. The Foundry is the sole, exclusive owner of all intellectual property rights, including rights under copyright and trademark law. Licensee agrees not to use the Webfont in any manner that infringes the intellectual property rights of the Foundry or violates the terms of this EULA. Licensee will be held legally responsible, and indemnifies Fontspring, for any infringements on the foundry's rights caused by failure to abide by the terms of this EULA. The Product is provided "as is." Fontspring makes no warranty of any kind, either expressed or implied, including, but not limited to the implied warranties of merchantability and fitness for a particular purpose. This EULA, in conjunction with the invoice (“Invoice”) that accompanies each Font licensed from Fontspring or its distributors, constitutes the entire agreement between Fontspring and Licensee. Embed fonts in ebooks and portable documents. a. Embed the Font into an unlimited number of copies, format types, and subsequent versions of Ebooks. b. Modify or convert the Font to improve the font's appearance or performance in an Ebook. a. Licenses may embed the Font in ONLY the number of Ebook titles indicated in the Invoice. b. When the Licensee uses the Font provided by Fontspring under this EULA, and the Font file is distributed as part of an Ebook, the Font must be embedded within an archive file format that obscures the original data using compression, encryption, or obfuscation. Valid archive formats for the that meet these criteria include, but are not limited to, PDF, EPUB 2.01, EPUB 3, and KF8. c. The Font must take the form of a non-executable file that is interpreted by e-reading software or e-reading devices. d. The Font may not be installed in the operating system on which the Ebook runs. Licenses for Desktop use, @font-face embedding, computer applications and games, installable interactive books, software, mobile applications and games, product creation websites, website template distribution, website templates, and other uses not allowed by this Agreement may be available for an additional fee. Contact Fontspring at support@fontspring.com for more information. The Font is protected by copyright law. The Foundry is the sole, exclusive owner of all intellectual property rights, including rights under copyright and trademark law. Licensee agrees not to use the Font in any manner that infringes the intellectual property rights of the Foundry or violates the terms of this EULA. Licensee will be held legally responsible, and indemnifies Fontspring, for any infringements on the foundry's rights caused by failure to abide by the terms of this EULA. Embed fonts in apps and software. a. Embed the licensed Font into an unlimited number of copies and subsequent versions of the Application(s) (“App” or “Apps”). b. Port the app to any other platform or console (iOS, Windows, Android, Linux, Playstation, Xbox, etc.). c. Subset or convert the Font format to improve the Font’s performance in the App. a. Licensee may embed the Font into ONLY the number of Apps specified in the Invoice. b. Licensee may not redistribute the Font with the App’s source code. c. Licensee may not install the Font in the operating system the App runs on. d. Licensee may not embed the Font in an App that enables an end user to create custom typesetting with the Font (e.g. Photoshop Express for iOS, etc.). e. Licensee may embed the Font in reports that the App saves or exports, provided that the reports are not sold for profit. f. Licensee may only embed the Font into Apps that it owns or controls. The Licensee may temporarily provide the Font to a third party aiding in development or design for the App who is working on behalf of the Licensee. (1) Agree in writing to use the Font exclusively for Licensee’s work, according to the terms of this EULA. Licenses for desktop use, @font-face embedding, Ebooks and Epubs, product creation websites, website template distribution, website templates, and other uses not allowed by this Agreement may be available for an additional fee. Contact Fontspring at support@fontspring.com for more information. Licensee may not modify the Font or create derivative works based upon the Font without prior written consent from Fontspring or the owning Foundry (“Foundry”) EXCEPT THAT Licensee may generate files necessary for embedding or linking in accordance with this EULA.